Warning to all OFWs who will come home for a vacation especially those who are planning to spend the holiday season with their families. Beware of some "nice" new acquaintances. Better yet do not speak or go with them to keep your self away from imminent danger. Instead of smiles, excitement and gifts, deep sorrow and regret is what the three OFWs bring to their family after they had been victimized by a "salisi" modus .They only met the woman at the airport and persuaded them to check-in at a hotel with her while waiting for their connecting flight the next day. The new found "friend" fled with all their money, cellphones and all the gifts they are supposed to give to their families. According to the victims, upon arrival at the NAIA Terminal 2, a woman approached them and introduced herself by the name Gabriel Rut. The suspect told them that she is also an OFW. Since they were all waiting for their connecting flight to General Santos City the next day, the suspect suggested that they should look for a cheap hotel to spend the night. While at the hotel, they decided to go to a mall in Pasay City to eat. That's when the suspect warned them about the lurking snatchers outside and urged them to leave their money and gadgets at the hotel and only bring pocket money with them. While they were at the queue ordering their food, the suspect left some money and told them that she needs to withdraw from the ATM. Minutes passed and the suspect has not yet returned. That's when the victims got suspicious and rushed back to the hotel and found out that all of their valuables are missing. They reported the incident to the police. 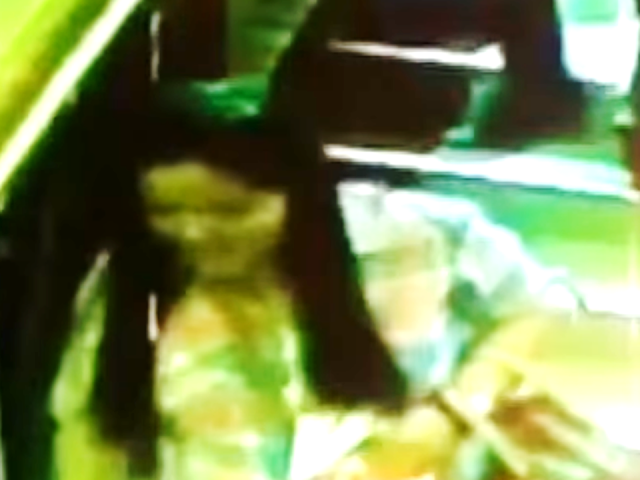 A CCTV footage from the hotel shows that the suspect left with their bags with her. The hotel staff even assisted her to carry the bags knowing that the suspect owns them. The CCTV screenshot of suspect leaving the hotel with the stolen bags from 3 OFWs. Police authorities are conducting a follow up operation for the arrest of the suspect. 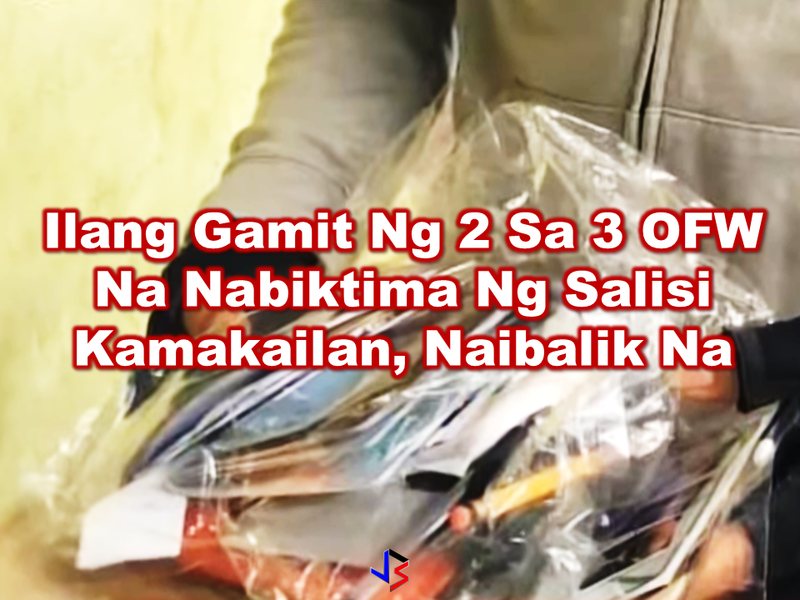 After a week, the documents of two of the three OFWs were recovered and returned to them. A vendor found their IDs, passport and other documents at the Nepa Q-mart in Quezon City. A manhunt is still ongoing for the capture of the suspect.